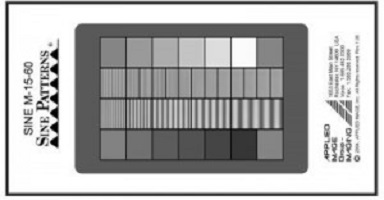 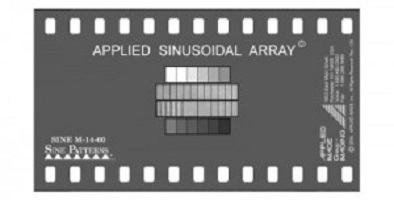 Sinusoidal Target Arrays have been recognized as a superior test method for a variety of applications, from moiré contouring to reliable MTF Evaluation of materials, lenses, cameras and electro-optical systems (Follow the hyperlink to learn about using Sinusoids for MTF eval). 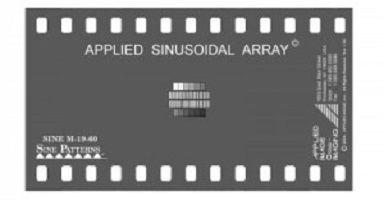 Sinusoidal Pattern Arrays are manufactured on two different materials for both reflective and transmissive applications. 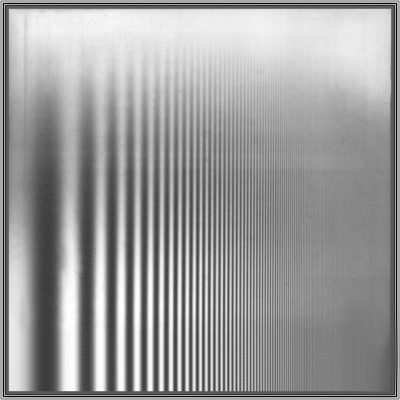 Because of the inherent limitations of reflective materials, the maximum spatial frequency of the reflective pattern arrays is limited to 20 cycles per mm, while the transmission film arrays are offered in various sizes up to 256 cycles per mm. 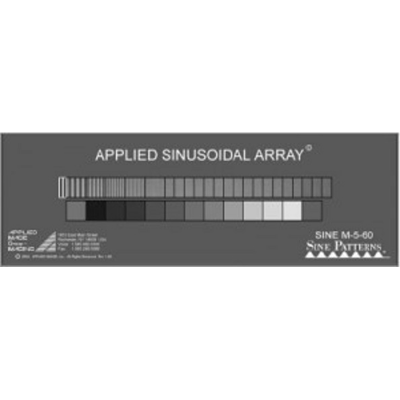 In addition, the sinusoidal arrays are available in a Single Frequency Grating or with Multi-Frequency Gratings. 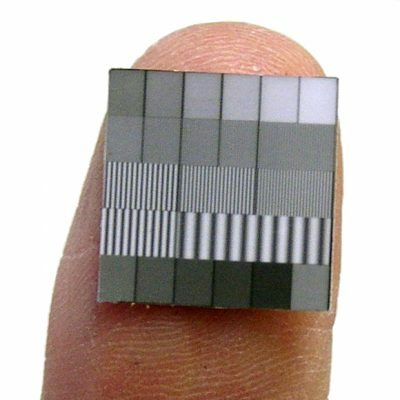 If instead of continuous sinusoidal frequency, you are looking for a square wave frequency design, then look to the Ronchi Gratings page. 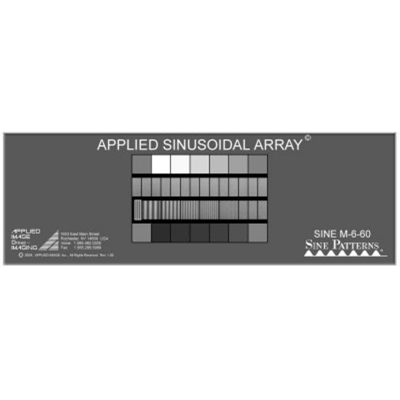 Should you need to alter the size of the pattern or the substrate, fill out our Custom Test Targets and Charts form and start the conversation.